Menlo Park, CA - October 20, 2017 - WeVideo has made significant additions to its feature-rich video editing app for iOS with the immediate availability of extensive and fully customizable pro-quality motion titles and graphics. 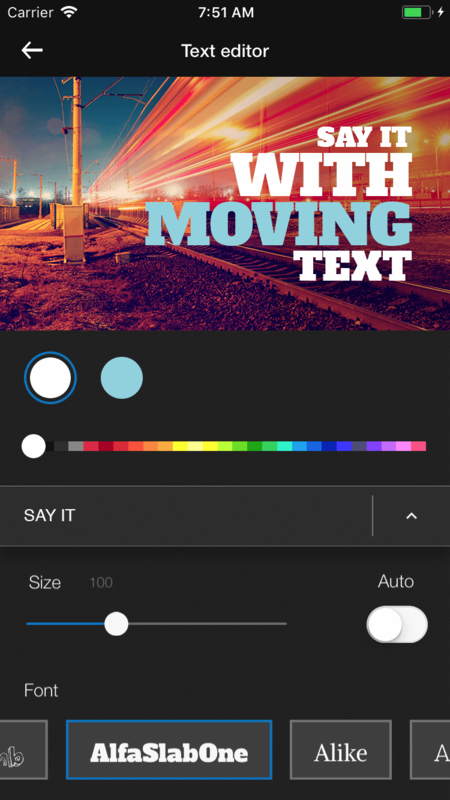 This powerful new capability for the 4+ star Apple App Store-rated video editor enables users to quickly create videos with powerful dynamic and informative full-motion titles and graphics. This pro technique can be used to enhance any video project from fun and memorable personal videos, to business marketing videos intended for the web and social media. 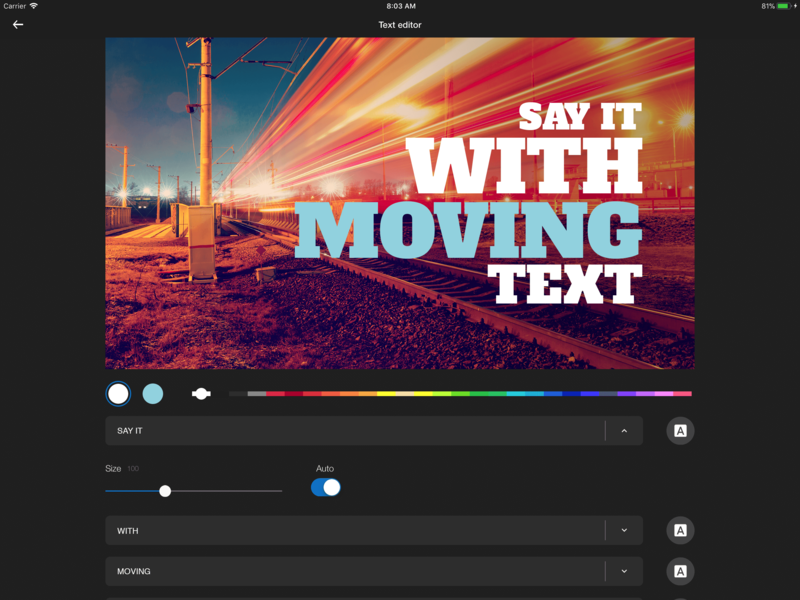 Users can tap even more creative tools at any time by opening their iOS project from the WeVideo web app, available on web browsers on any MacOS, Windows or Chromebook device. To celebrate Halloween, WeVideo is offering 31% off new web-based individual subscriptions through October 31, 2017. These accounts include premium-level access to WeVideo's mobile apps. This unlocks a long list of premium features such as iOS motion titles, including WeVideo’s special Halloween-themed motion titles package. Visit wevideo.com to get started. 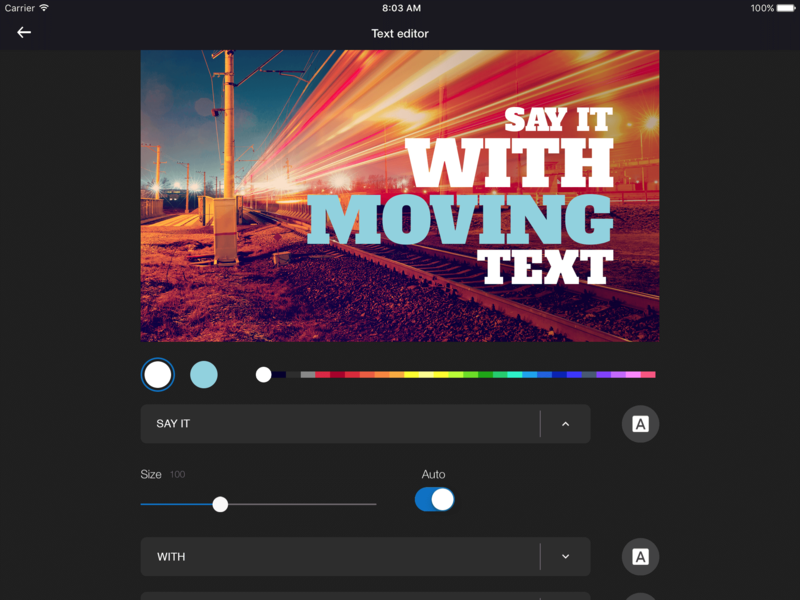 WeVideo CEO Krishna Menon said, "Now any iPhone or iPad user can easily add fun, informative, and most importantly, eye-catching titles and graphics to their video projects on the go right from their handheld device. They can add the same types of pro motion graphic effects that they see on top-tier television, like news, weather, and multi-million dollar ad campaigns, to their very own videos. The creative possibilities are endless!" 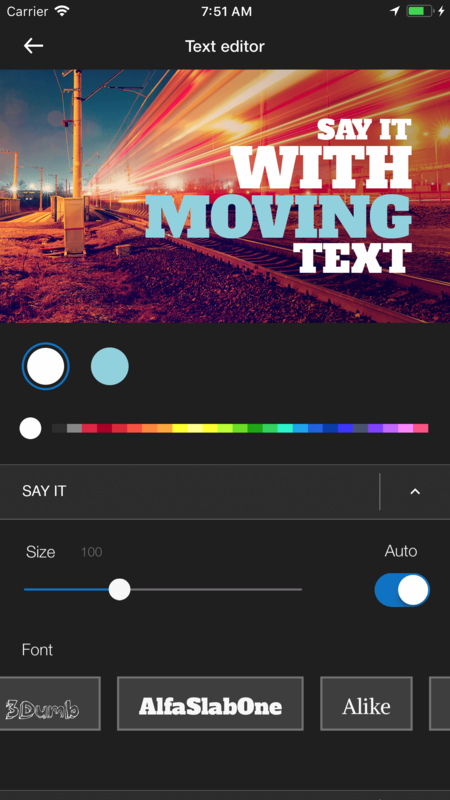 Like all of WeVideo's advanced video editing and effects features, motion titles and graphics are seamlessly integrated within WeVideo’s intuitive iOS app interface. Creating a desired motion title is as simple as adding a style to a clip in a storyboard and typing the desired text. Every motion title starts with a ready-to-use animated template designed by a top Hollywood graphic arts agency. These templates make getting started fast and easy--the user simply picks a template, adds text, and the title is done. WeVideo for iOS offers dozens of templates that provide a jumping off point for endless creative options to suit any video project, from professional ads to fun personal videos. In addition to special holiday themed packs, like Halloween, the categories of templates available include Corporate and Clean, Elegant and Sophisticated, Fun and Funky, and Bold and Daring. The applications are endless: broadcast TV style lower thirds, powerful text to illustrate key business messages and details, eye-catching words that leap off a social media page, and so much more. WeVideo's captivating, professional-quality, animated titles provide the perfect impact to pair with the high-quality video captured by the latest mobile devices. Easy-to-use controls lets users fine tune the look of their motion titles by customizing almost any parameter including timing, position, layout, colors, fonts, and font size. 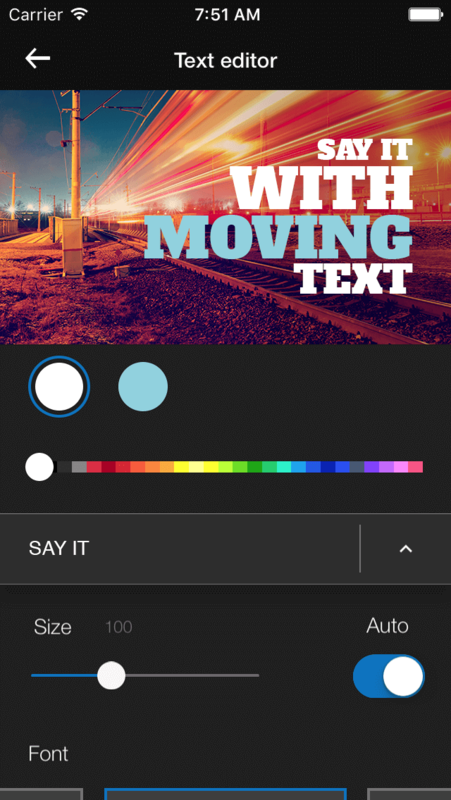 Users can include unlimited motion titles in a video created on iOS, and as many as five in a single clip. At anytime projects started on an iOS device can be further enhanced via the WeVideo web app, available on most desktops and laptops. Virtually unlimited tracks available in the web app enable the user to freely mix and match multiple motion title styles and elements, along with more advanced features, to create one-of-a-kind, personalized looks. WeVideo's video editor for iPhone and iPad is the easiest, fastest and most fun way to capture, create, view and share amazing movies on the go. When used in combination with the WeVideo web app, users have access to a broad and deep video creation ecosystem and an effectively boundless creative toolset. Users can create an entire video from start to finish with the convenient iOS app, which can be immediately published for sharing and playback. Users also have the option to further refine their project via the powerful WeVideo web app. WeVideo makes it easy to combine video clips, green screen effects, special photos, sound, themed music from the included library, as well as the user's own music from their device. Users have complete creative control over text, transitions, slow motion effects, voice-overs, and numerous special effects. Movies created with WeVideo are easily shared to popular platforms including YouTube, Facebook, Twitter, Instagram, and more. 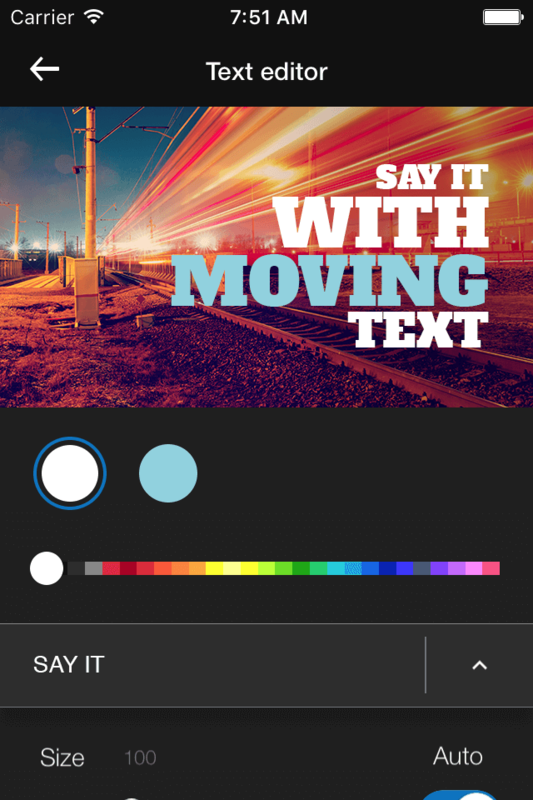 WeVideo offers iOS users free, introductory accounts that let people begin to explore many of its powerful features. Users can upgrade for $3.99 to a one year mobilepass that delivers the complete, premium WeVideo for iOS feature set including motion titles. WeVideo also offers flexible individual subscription options that combine the complete premium iOS app experience with WeVideo’s full-featured web-based application for use on laptops and desktops, starting at just $3.44/month (until October 31, 2017). WeVideo also offers specially priced Education and Business subscriptions. Every WeVideo subscription includes a deep suite of video editing and creative tools, cloud storage, and much more, with support for browsers as well as mobile apps on Android and iOS.